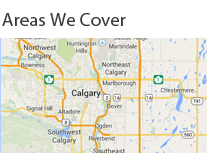 Car owners know that a reliable Calgary automotive locksmith is an invaluable asset to have. Next Door Locksmith techs appreciate that trust and do all within their power to ensure that Calgary residents like you continue to put your trust in them. That means that we have oriented our entire business policy around making your life better as our customer. We have our office open for service calls 24 hours a day, 7 days a week. We also guarantee a 30 minute arrival time, day and night. Next Door Locksmith provides professional automotive locksmith service for anyone in the community, and we offer fair prices for customer satisfaction. As a car owner, you know all too well the problems that can happen with owning a car. While most of these problems seem to happen with car parts and car functionality, many of them happen with the keys as well. You might lose your keys, or the key gets jammed, won’t turn, breaks, the transponder stops working, etc. Whatever your car problem, you can bring it to us. We can help with key replacement, including cutting a brand new key right there, on the spot. If you need your transponder key reprogrammed, we can do that, too. We also provide services such as ignition replacement, broken ignition key extraction, trunk unlocking, and more. Getting locked out of your car is one of the worst things that a car owner can experience, especially if you know your keys are right there inside your car. Rather than sit there and bemoan your fate, call Next Door Locksmith and one of our automotive locksmith technicians will be dispatched immediately to assist you. Within 30 minutes, he will arrive with the proper tools and equipment to either get in your car safely without causing damage or to cut you a new key on the spot so that you can get inside the car the normal way. Sometimes it’s not that you lost your keys or you locked them in your car, but that something is broken. Is your car key jammed in the ignition? Or worse, did it break off in the ignition? Perhaps the key simply broke, or the ignition itself is broken. A Next Door Locksmith can repair or replace that for you right away, making it as good as new so that you can drive away without problems. We can also replace them if your keys were stolen, making a new lock and key code so the previous keys won’t work anymore. Instead of trying to fix things on your own, try calling Next Door Locksmith. We are the professional automotive locksmith Calgary needs to keep cars running successfully and to keep them secure. You can also come to us for any commercial locksmith, residential locksmith, or emergency locksmith needs.